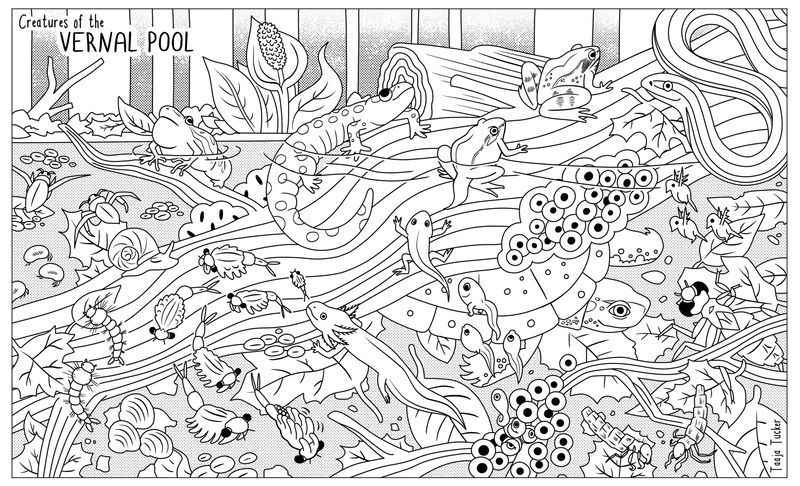 These coloring sheets are available for educational, non-profit, or personal use and may not be modified for any reason without written permission. Click the image to download the high-resolution version. 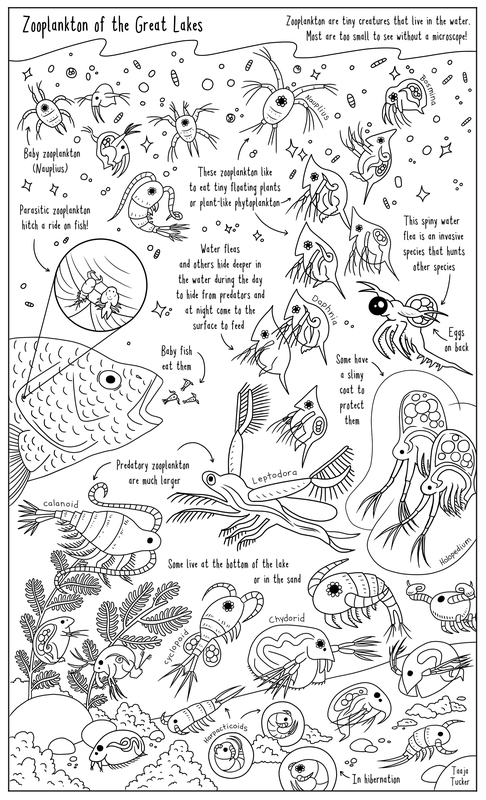 Most of these are intended to be printed on 8.5 x 14″ legal size paper, but the “Zooplankton of the Great Lakes” can be printed on standard 8.5 x 11″ letter size paper. If you use one of these coloring sheets or have suggestions for others, feel free to drop me a line! 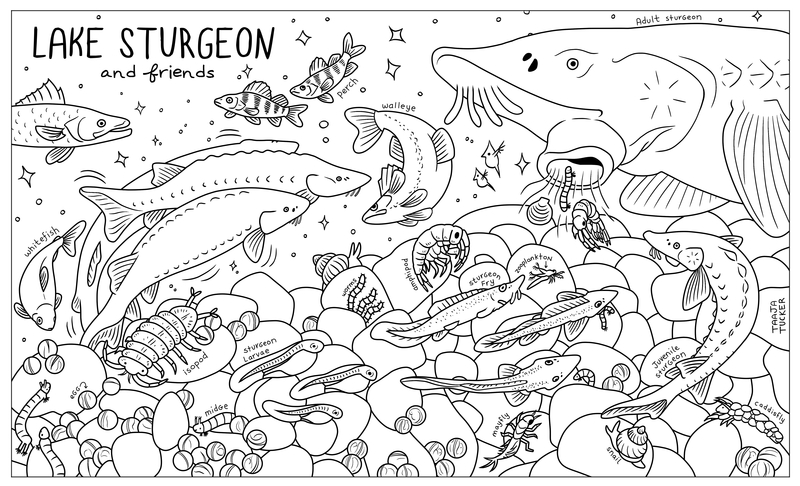 If you would like an email notifying you when a NEW coloring sheet is added, click below to add your email address to the mailing list. I won’t send you spam! If you like or use these sheets you could buy me a coffee! 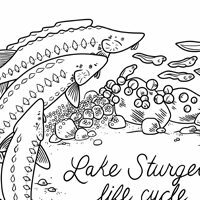 This sheet highlights the life cycle of the Lake Sturgeon, from spawning, to egg, to larvae, to fry, to juvenile, to adult. Explore the temporary spring-time habitat of the vernal pool. Find swamp cabbage, spotted salamanders, a spotted turtle, fairy shrimp, seed shrimp (ostracods), zooplankton, water bugs, wood frogs and spring peeper, dragonfly nymph, caddisfly larvae, ribbon snake, egg masses, duckweed, and fingernail clams! Starring everyone’s favorite living fossil. 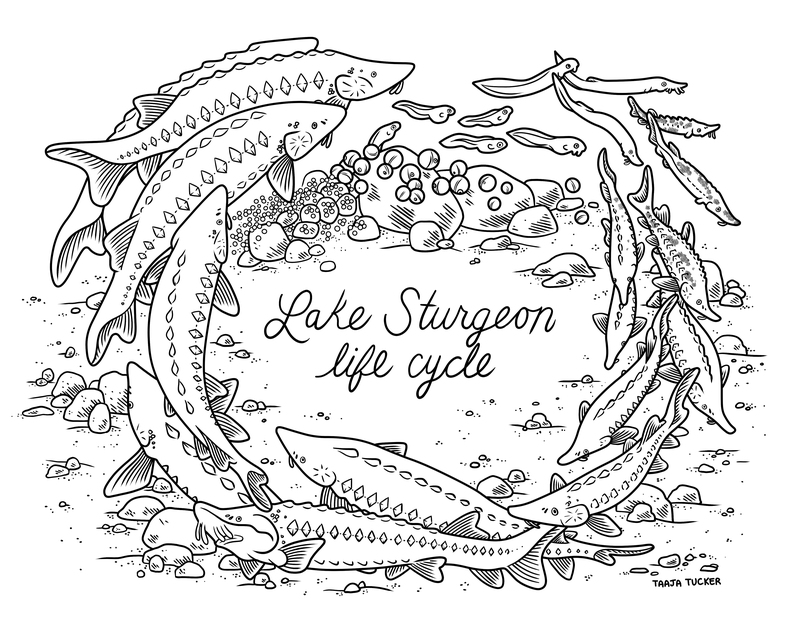 This sheet highlights the life cycle of the Lake Sturgeon and other inhabitants of the spawning reef. 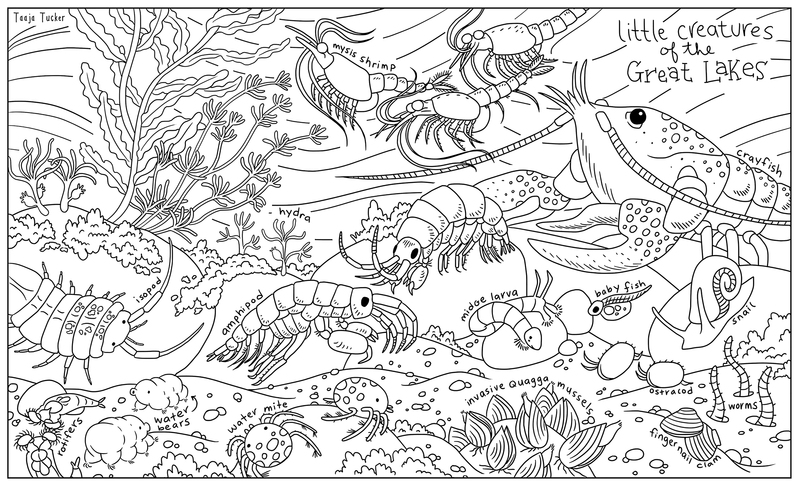 BONUS: Here’s an activity sheet you can print on the back of the coloring sheet. Featuring small and large invertebrates of the lake bottom including: amphipods, isopods, crayfish, mites, mysis, and more! 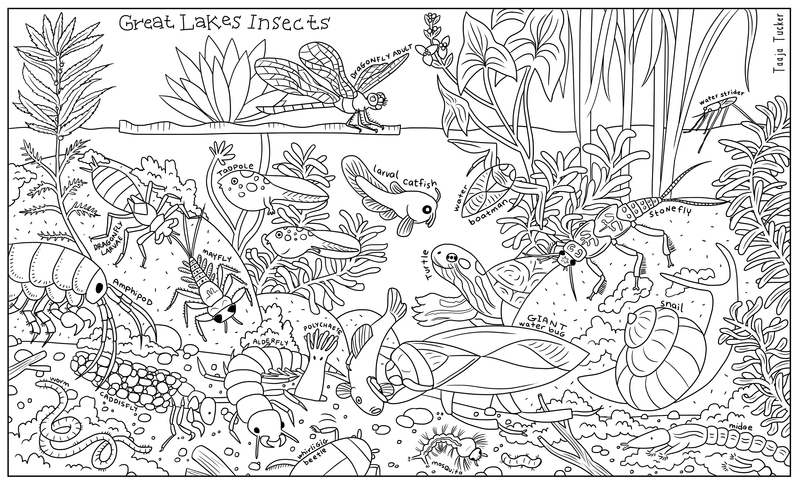 Featuring mostly larval forms of aquatic insects like caddisflies, stoneflies, and dragonflies, with special appearances by other invertebrates (snails, amphipods) and vertebrates (larval fish and turtle)! 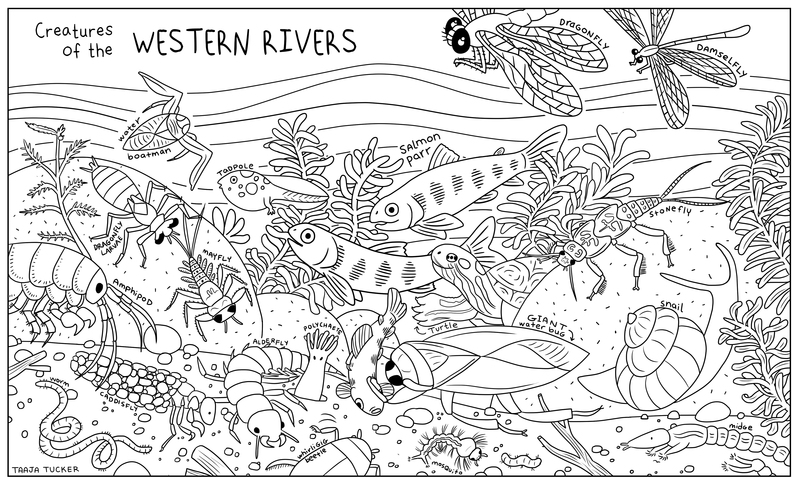 An alternate version of the “Great Lakes Insects” coloring page that represents the ecosystems of the salmon rivers of the western United States. Salmon parr! 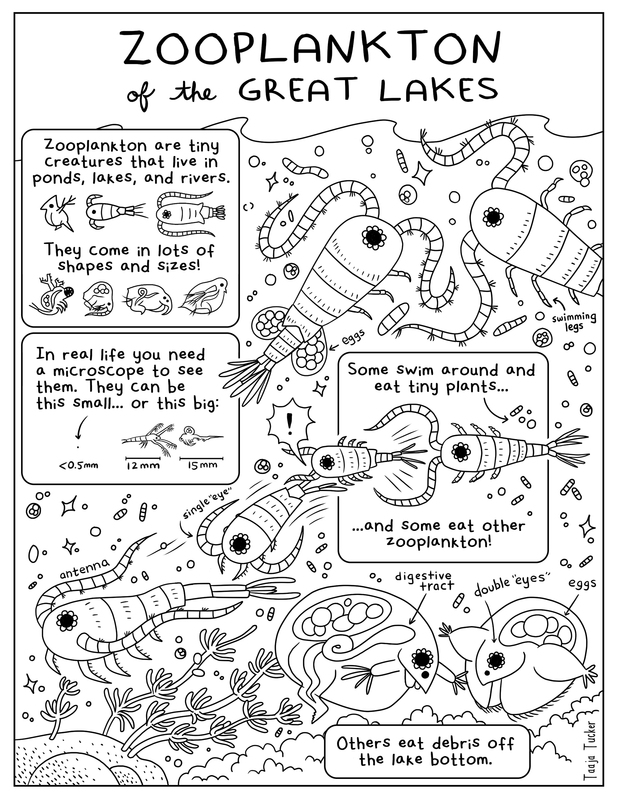 An introduction to everyone’s favorite tiny invertebrates: the zooplankton!! Includes calanoids, cyclopoids, chydorids, and more! Many more forms of zooplankton than in the previous sheet, including baby zooplankton (nauplii), predatory zooplankton, the invasive spiny water flea (Bythotrephes), Daphnia, and harpacticoids!